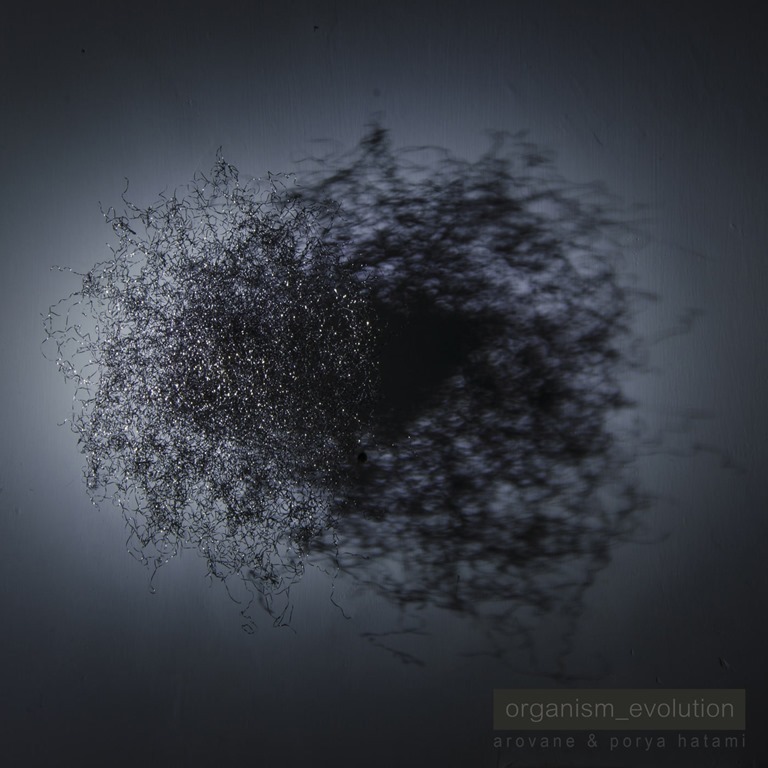 The title is, in many respects, self-explanatory: the successor to last year’s Organism, organism_evolution finds the collaborative pairing of Arovane (the recording alias of Berlinbased electronic artist Uwe Zahn) and Porys Hatami, who, I gather, is a prime mover on the Iranian electronic underground. The 23 pieces which comprise organism_evolution – and whether or not this number is coincidental or confluent with the 23 enigma is perhaps an extensive aside too far – are sparse, elliptical sliver of minimalist electronica. The rhythms are cyclical, emergent, rather than overtly beat-driven: there’s little to nothing immediately identifiable as percussive. With the exception of a brace of expansive, seven-minute sprawlers, the pieces are brief, largely sub-two-minute snippets and fragments, which range from undulating swampy miasmas of amorphous, undefined ambient smog, to clicky, crackly sketches of dissonant arrhythmia. Slow, bulbous pulses, gurgles and spiralling buzzes, woody knocks and hushed, wispy undulations weave fractal patterns. It’s a collection of intangibles, sounds in ever-shifting states and perpetual transition, the forms conforming to no distinct shape or structure. The pieces aren’t only brief, but adopt a microscopic focus – the accompanying blurb lists among the processes involved in the album’s formulation ‘modular and granular synthesis, spectral processing, resonator/modal synthesis’. The technicalities of synthesiser work are beyond my ken: ultimately, I’m interested in the output rather than the input, and its effects as a listening experience. At times, the experience is discomfiting, the eerie atmospherics creating unsettling disharmony as ominous low notes hover, hum and scrape against jittering skitters of treble that set the teeth on edge. The extreme use of stereo in places creates an immersive – if disorientating – three-dimensionality. But for all of the perpetual movement and the speed of the sonic transitions – sounds and ideas pass before they’ve even registered, giving organism_evolution an air or ephemerality – the overall effect is one of a work which flows.